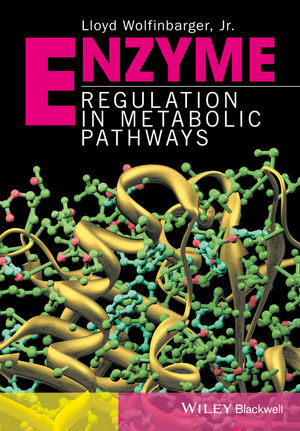 Enzyme Regulation in Metabolic Pathways shows the reader how to understand the roles of enzymes and their kinetic constants in intermediary metabolism. It provides a means of correlating data obtained in experimental studies to multiple possible mechanisms through which some enzyme may catalyze the conversion of a substrate to a product. Although not the most appropriate means of determining some potential kinetic mechanism, quasi-equilibrium assumptions are used throughout the book, keeping the rate equation derivations simple. Actual metabolic pathways with known (presumed) positive and negative regulation events are linked to these potential kinetic mechanisms using both rate equation derivations and data plots illustrating how the rate equation derivations can be used to explain the data plots. This book will be a valuable reference for students in biological sciences and biochemistry majors required to take a core course in enzymology.